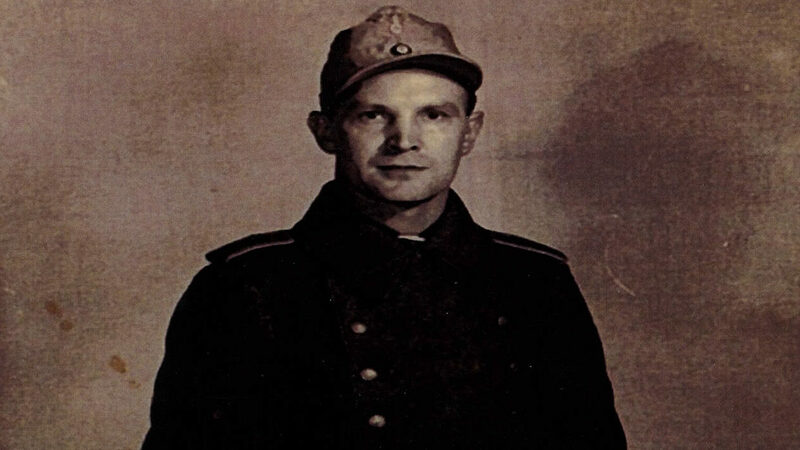 Did you know that during WWII German prisoners-of-war were held at a camp just west of Greeley on Highway 34? POWs from Camp 202 were dispatched to farms in Larimer (and Weld) counties, often to bring in the sugar beets. The camp housed about 3,000 prisoners (about 2,500 were held in the camp in Trinidad; 12,000 in Colorado Springs). 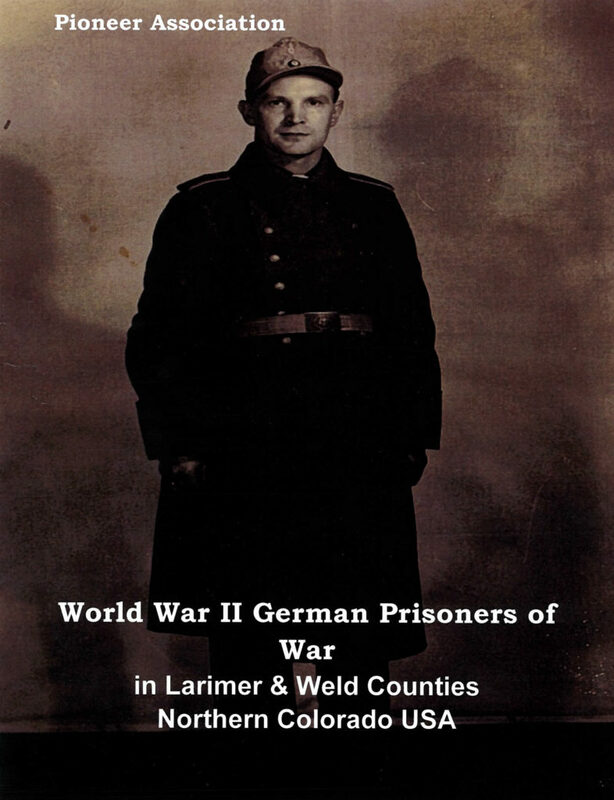 The Archive has a booklet called World War II German Prisoners of War in Larimer & Weld Counties (published by the Pioneer Association in 2011; cover photo above), which includes recollections of local area residents of their interactions with the POWs. 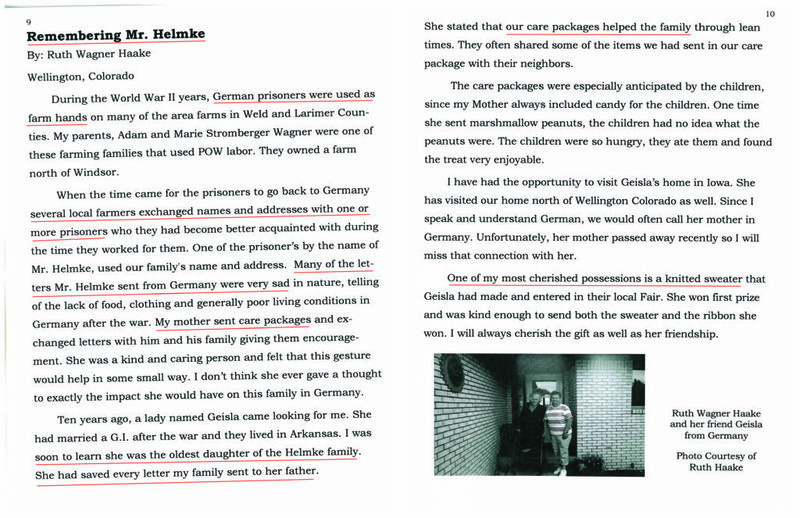 Below is my favorite story from this booklet, titled “Remembering Mr. Helmke,” by Ruth Wagner Haake (trust me, you’ll be glad you read it to the end). And for personal recollections about WWII in general, check out this page – our World War II Oral History Excerpts, on the History Connection website.